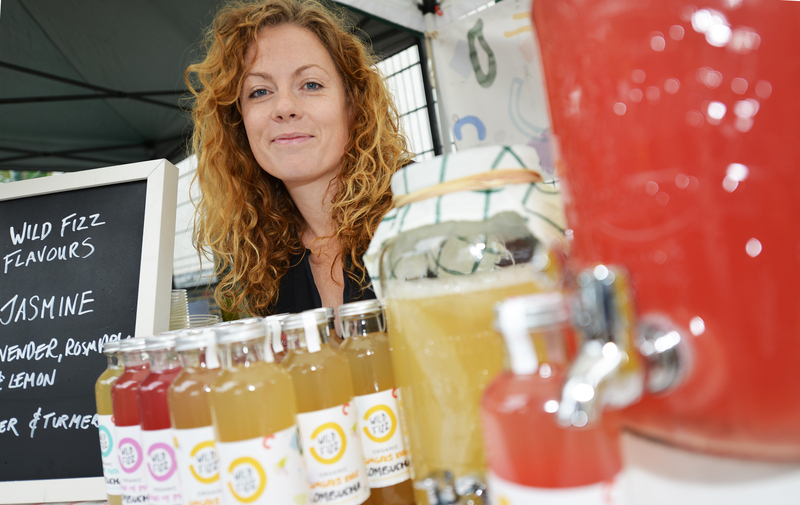 The Wild Fizz kombucha stall at the farmers’ market is creating quite a stir with its range of refreshing botanical tea drinks. Kombucha is a raw, low-calorie sparkling ferment that promotes many health benefits, such as increased gut health and higher energy levels. Like home-made yoghurt, once you have made your first batch, you will have all you need to make another. 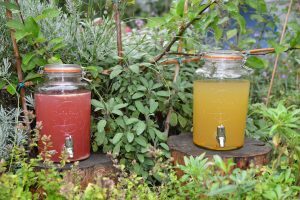 Gina the Wild Fizz kombucha queen has agreed to share her recipe, and would love to hear how you get on. Wave a copy of this magazine at her stall and you will be rewarded with 50% off a bottle of Gina’s own brew! ‘SCOBY’ stands for Symbiotic Culture Of Bacteria and Yeasts. During fermentation it digests the sugar to produce all the beneficial acids, enzymes and probiotics that make kombucha so special. They are available online – but do make sure, as with all the other ingredients, that you buy organic. The SCOBY forms a new layer with each ferment, so you only need to purchase it once. This recipe makes 4 litres. Boil 3.8 litres of water and add the sugar and tea or teabags. Brew for 20 minutes or to taste. Cool the tea to room temperature, give it a stir, and then add the SCOBY and starter liquid. Cover the jar with muslin and secure it with a rubber band. Leave the jar in a warm room and check on it every day. SCOBY forms a white layer on the surface which gets thicker over time. After a week has passed, you can check the taste. It will be sour at first, and then over time become fizzier. The length of time you leave it depends on preference. Once the brew is fizzy and tart and you are happy with the taste, decant the kombucha into an airtight container. This will provide more carbonation (fizz) which forms in anaerobic conditions. Retain 200 ml as starter liquid for your next batch, along with the SCOBY. At this stage you can flavour the kombucha. Chop up whatever you fancy and throw it into the container. Foods which work well are ginger, turmeric, apple and raspberry. Pineapple is good too, but will make it super fizzy. Refrigerate; the longer you leave your kombucha the fizzier it will become.